AMF Bowler's Tape White 1"
Is your ball too slick for it's own good, use AMF Bowlers Tape to get a grip! AMF bowlers tape is the Original leading bowlers tape. You can customize your hole size and improve your gripping power with this tape. If 3/4 black tape is what your looking for this could be the perfect product for you. 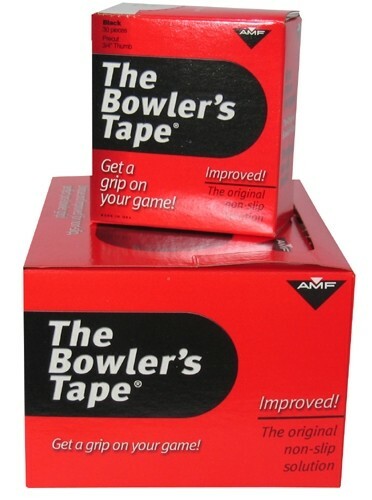 So purchase this AMF Bowlers Tape 3/4 Black 500-piece Roll today and get a good grip on your ball! 500 piece Roll - Less than ten cents per piece! Due to the time it takes to produce the AMF Bowlers Tape 3/4 Black 500-piece Roll ball it will ship in immediately. We cannot ship this ball outside the United States.